When I tell you that this is the easiest recipe I'm not kidding. It has four ingredients, you only need one container, you mix right in the baking dish, and you bake. Easy as pie! Hold it, easy as buying a pie, making a pie is NOT easy!!! This is great to do with kids and a really easy, kid friendly dessert to bring if you're having a playdate and want to be Betty Crocker-ish. Best part is that you can keep all of the ingredients in the pantry to pull out any time! I figured that Maya and Anna could make their own afternoon snack. 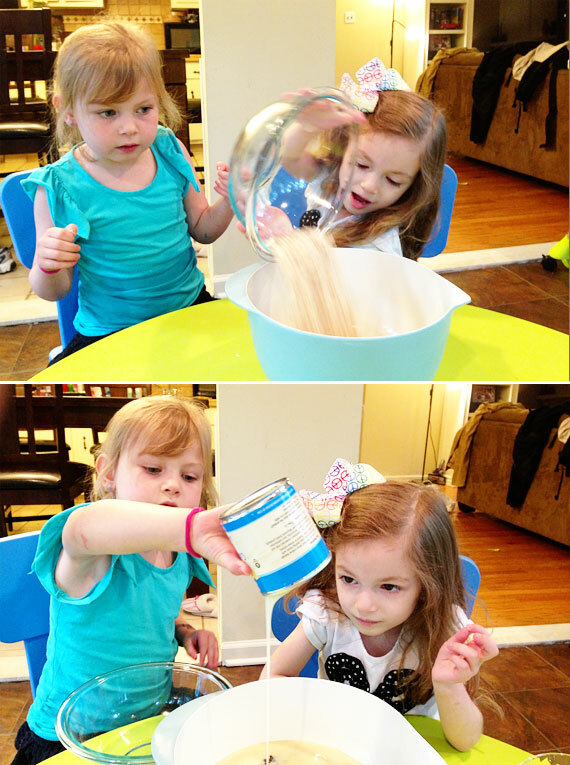 I pre-measured the ingredients so the girls could be independent and actually feel like they were making it themselves! 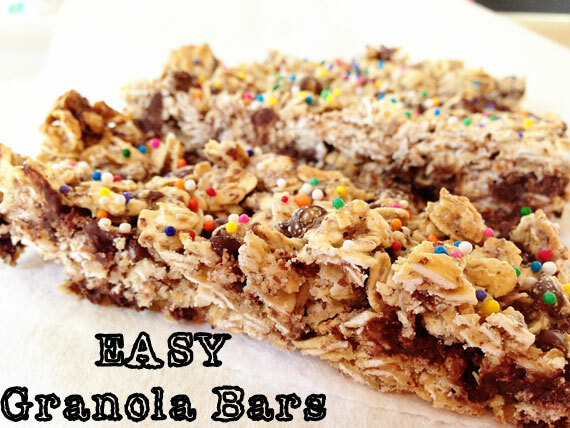 It's so quick, easy and delicious, you know you want to try it! **Our almond meal (flour) was from Trader Joes. You can also make your own by grinding nuts in the food processor. 1. Mix all the ingredients together either in a bowl or right in a greased 9x13 pan. 2. Bake at 350 for 20-25 minutes.